Useful information for the marijuana enthusiast. Is there a better alternative to Leaf Guide? Is Leaf Guide really the best app in Medical category? Will Leaf Guide work good on macOS 10.13.4? 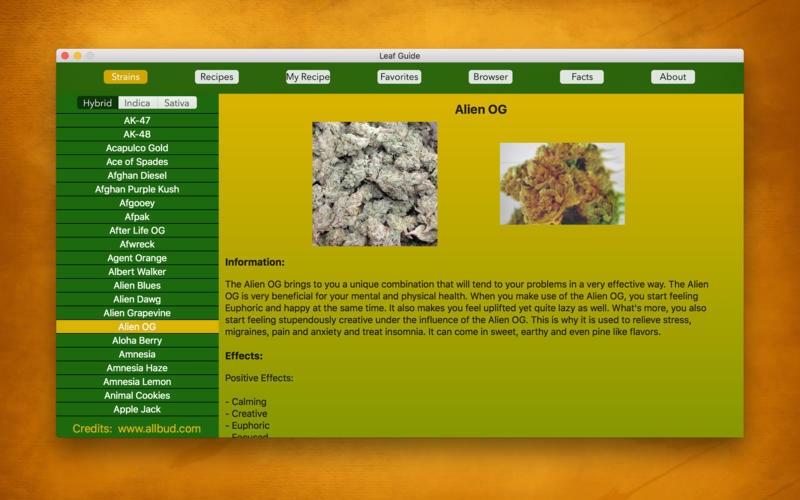 Leaf Guide will give you useful information to just over 650 marijuana strains. 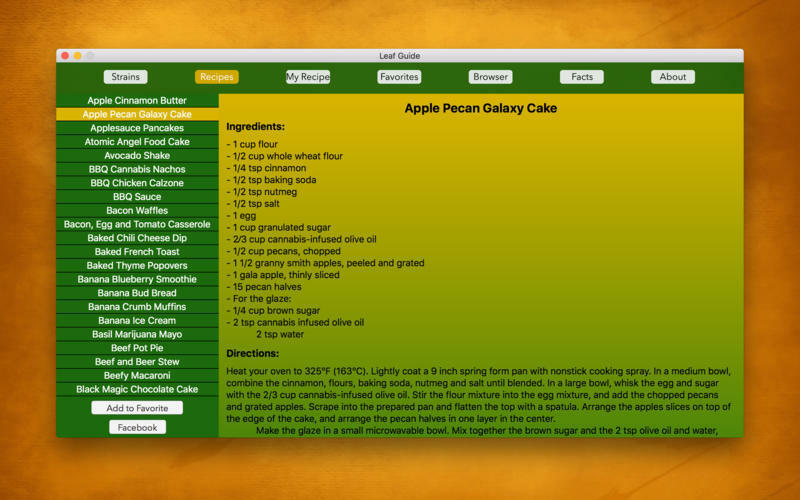 And if you want to cook with marijuana, check the built-in recipes tab. Beside this you can create your own food recipes. Leaf Guide needs a review. Be the first to review this app and get the discussion started! Leaf Guide needs a rating. Be the first to rate this app and get the discussion started!